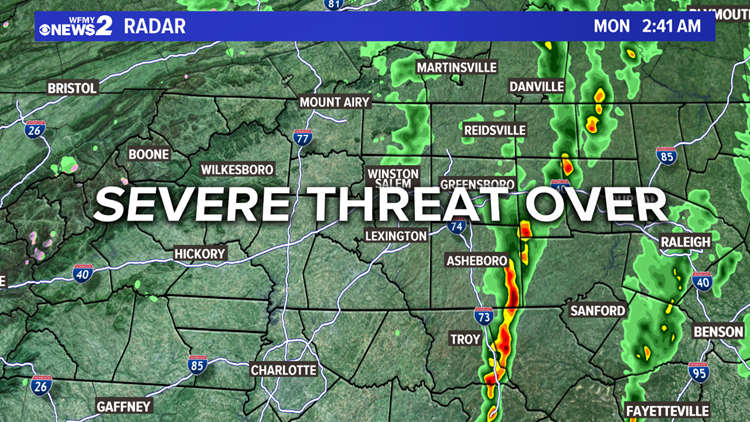 GREENSBORO, N.C. — The severe weather threat for the Piedmont is now over. The cold front that had created the strong to severe storms has pushed through. Monday will feature sunshine, and cooler, breezy weather. 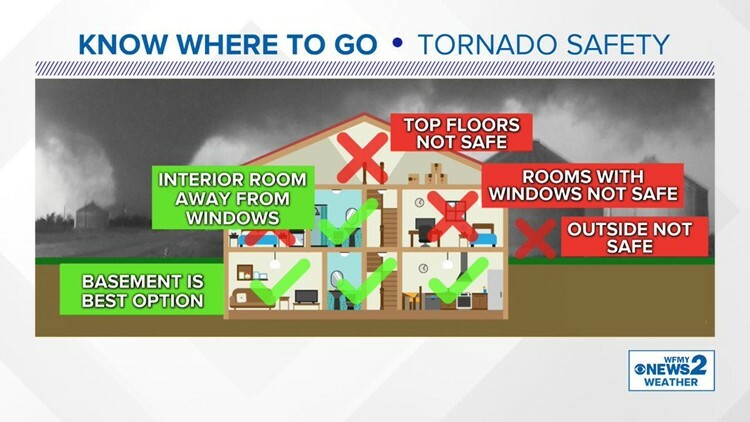 Keep it with WFMY News 2 for updates, that's why we're here! Do you know where your safe space is?